Since 9-11, violence has been in the news. We’ve gotten regular doses of it, but most of us only through pictures and video and second-hand accounts. We’ve seen violence without experiencing it. A virtual experience that affects us at some superficial level. Invading Afghanistan, bombings in Europe, invasion of Iraq, mass shootings. I’ve gotten used to it, although I’ve not forgotten. 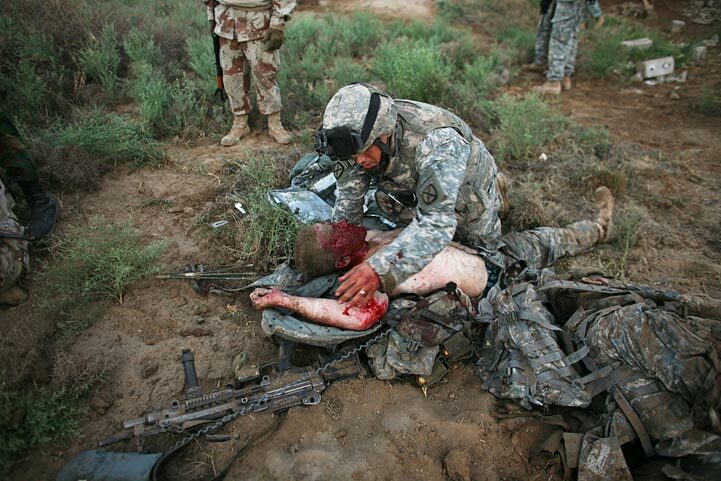 Is the media still showing pictures of our over 50,000 wounded soldiers? The over 1500 soldiers being carried into vehicles having their limbs blown off or hanging on until they are amputated? Did they ever? I stopped my daily following of the news a while ago. Maybe that’s why when I hear about violence, I don’t focus on the event, but I see it as a continuation of the violence of 9-11. Part of a War on Terror, where terror has become not so terrible, because time heals all wounds and distance makes it surreal. So we’ve settled into a comfortable place, where we can nod our heads and allow our soldiers and administrators to set camp in other countries, plant an airbase, send our drones to fly into neighborhoods and fire off rounds. The War that allows us to ignore the over 100,000 Iraqi civilians who were killed and continue to be killed. Civilians who ran out into a smokey streets, maybe like the runners and onlookers in Boston did, confused, scared, punctured with glass, or choking, or maybe lying on the ground, not feeling one of their legs. The War on Terror has became a theme that has too easily turned into a way of life allowing us to accept the news about men, women, and children who were accidentally caught in the crossfire, and forget about the soldiers with the tough task to protect them as they fight. This acclimation devalues their plight and their sacrifice. We are certainly good-intentioned, and probably empathetic to you about that father of your’s that we accidentally killed. But we had no choice, you see? We’re so scared that we need to keep fighting this War on Terror, or maybe we’re so accepting that we don’t really care. It’s nothing personal, son. But that son is going to take it personally. Boston should help us see that this violence is strong and meaningful and damaging, wherever it is happening, whoever is doing it. All violence comes at a cost. And in this environment of violence, call it the War, call it whatever, there is no enemy that is going to come forward and surrender. There is no winner until one side completely crushes the spirit of the other…until one side approaches such a reputation for committing violence that no one wants to even try to face them. Next postYou choose your friends. They don’t choose you.